Are you looking for a way to ramp up your business’s profits? Have you considered adding to the types of transactions you can complete? If you’re a business owner, you need to consider setting up a merchant account. Without a merchant account, you’re missing out on a lot of business. What exactly is a merchant account? Why do you need one when you’ve already been running your business successfully? Merchant accounts open up a whole new world for businesses, so to speak. Keep reading to learn more. As a business owner, you really should set up a merchant account. Why? Because without one you can’t accept cards. While people still use cash and checks, credit and debit cards are the most popular forms of payment today. If you don’t take them, you stand to lose a whole lot of business. Your merchant account provides a place for funds to be transferred when a card is used in a transaction. To get a merchant account you’ll need to fill out an application with a company that provides merchant accounts. Who provides merchant accounts? Banks and other financial institutions do. Since there are so many merchant account providers, you’ll need to do your research. Don’t go with the first one you find. Instead, make sure you know the details. Before creating a merchant account, make sure you know what you’ll be able to do with it. Are their payment systems compliant with PCI standards? Check out the provider’s fraud protection services, live support, and more so you know exactly what you’re getting. Can you process transactions online and offline? Don’t apply for a merchant account that doesn’t meet your needs. There are plenty of others out there, so find one that’s a good match for you. Setting up a merchant account isn’t an instantaneous thing. It takes time. Researching and comparing institutions and going through the application process is only the beginning. Setting up the actual account will take some time, too. The products you offer and the kind of business you do play a part in how long it takes to set up your account. It may be ready to use in one day, and it may not be available for weeks. 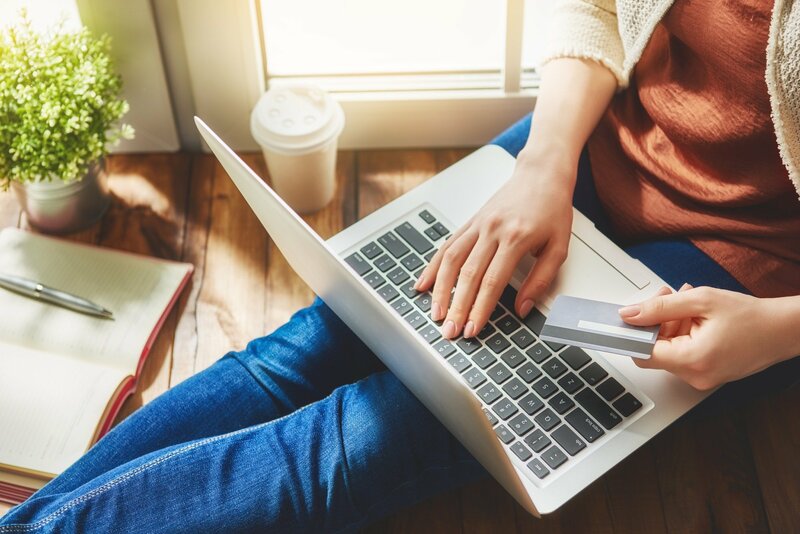 Once your account is set up, you’ll need to connect a gateway and shopping cart. The bottom line: give yourself plenty of time for the entire process to be completed. You’ll need to go through an underwriting process before your account can be set up. Why? Because merchant accounts represent a certain amount of risk for a financial institution. You may want to enlist the aid of an experienced merchant to make sure things go smoothly. Or look for a provider that has a team specifically assigned to help new merchants during set up. Merchant account providers want to make sure they’re only setting up accounts for legitimate businesses. Because of this, you’ll most likely need a business license. Luckily, if you’ve been operating as a business, you may already have one. If you don’t have one currently, get one before applying for a merchant account. Your provider will also use your business license to check your business’s standing. You’ll need a business bank account before you can open a merchant account. Luckily, setting up a business account is much simpler than opening a merchant account. You’ll need a business license and your Employer Identification Number (EIN). If you’re a sole proprietor and don’t have an EIN, you’ll need your Social Security number. If you plan to accept ACH payments as well as card payments, you may need more than one merchant account. The different payment types may be handled by different processors. Check with your provider to see what you’d need. When applying, mention the types of payments you’d like to accept. Before opening a merchant account, get to know the provider you’re considering. You don’t want an account with just anyone. Make sure they’re reputable and that your money and information will be secure. Ask how long they’ve been in business. Avoid new companies, even if their offerings sound amazing. If anything feels sketchy or like it won’t fit well, go with someone else. You’ll need to provide various documents in order for your merchant account to be set up. Various things, such as the amount of money you plan to work with, will determine what you need to provide. Possible required documentation includes bank statements, a voided check, and marketing material. Check with your provider to make sure you’ve submitted everything they need. If you want to be really successful in today’s business world, setting up a merchant account is essential. Without it, you can’t process payments in the way that’s preferred by most consumers. Though setting up a merchant account takes time, it’s worth all the effort you’ll put into it. So gather the documents you’ll need, do your research, and apply to a provider today. When accepting credit cards you’ve got to keep a lot of things in mind, including security and how to accept payments. To learn more, check out our article about different ways to accept credit card payments.